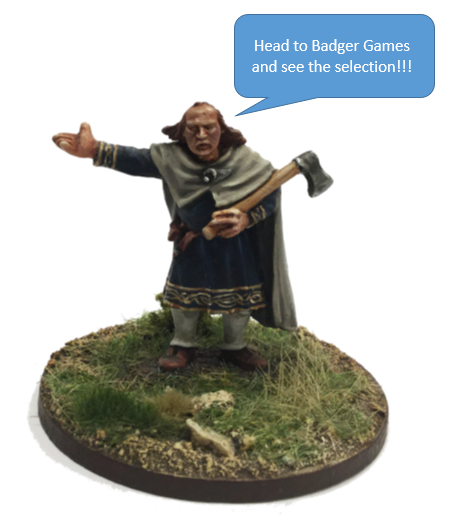 Badger Games has been your go to for SAGA and Gripping Beast in the United States at a dozen and a half different conventions. Well, now, finally, they are on our site! The complete range of SAGA II rules, box sets, dice and templates for both the Viking Age and Age of the Crusades are there with the Age of Arthur and Late Romans not far behind. SAGA has taken the world by storm and reinvigorated and reshaped Ancient, Dark Ages and Medieval Gaming. Gripping Beast makes some of the finest figures on the market for SAGA. And, if they make it, Badger Games has it! Badger Games will be sponsoring SAGA tournaments across the United States in 2018 and 2019. So, if you play SAGA or are interested in starting, swing by the site and watch our Facebook page and Twitter feed. This entry was posted on Tuesday, July 31st, 2018 at 09:10 and is filed under News. You can follow any responses to this entry through the RSS 2.0 feed. You can skip to the end and leave a response. Pinging is currently not allowed.